This simple sentence conveys so much meaning that is staggers the imagination, when the full force of the truth it contains, begins to permeate in our understating. Long ago, God spoke, many times and in many ways and His message was sent to us. It was given to you and to me. 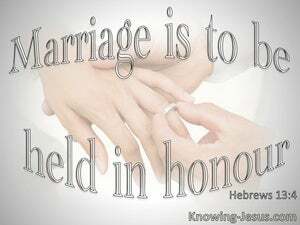 Throughout the history of man God has spoken to us in many different ways through His appointed prophets, priest and kings, as well as being declared in the start-studded heavens above and His handiwork beneath. Each blossom speaks of His artistry, every bird of His care, and every step we take and each breath we draw, proclaims His gracious sustaining power. Before He made His humble entrance onto the stage of universal history as the Son of Man – Jesus Christ was from all eternity and ever shall be into the ages that are to come the dazzling brightness of God’s glorious magnificence – the essential blazing radiance of His resplendent glory – He was and is and ever shall be the Son of the most high God. The opening verses of Hebrews lay the foundation for the glorious truth of Who the Lord Jesus Christ is and how great is His status and His position. He has a name that is more excellent that any created being for He is the eternal God incarnate –He is the infinite God in the flesh – He is the Creator of the universe, born into the human race – fully God but also fully man - yet without sin. As the second Person of the Trinity Christ is sometimes referred to as “eternally begotten' Son of the Father.. Who was and is and is to come the Almighty.. in Whom we live and move and have our being. But in another way the Lord Jesus was begotten at His incarnation, when He laid aside His glory and took upon Himself the form of a servant and became God with us... God incarnate - God in the flesh. 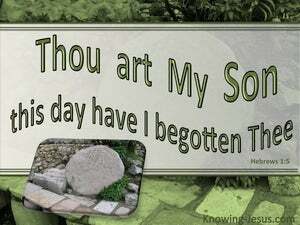 Christ is the eternal Son of God Who was born into the human race at Bethlehem, but there is one very special day.. one unique moment in time, when God was able to announce, You are My Son, this day have I begotten Thee. The world today is becoming obsessed with angels, the supernatural and the spirit world, which is erroneously being linked to a spirituality, which is embraced by a world but has rejected the true and living God. This presents an unbiblical representation of our Lord and Saviour Jesus Christ. 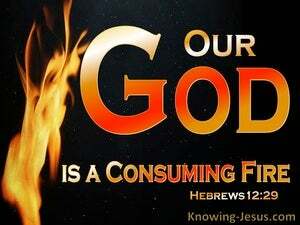 Jesus Christ is God's full and final revelation to man, and Hebrews lays enormous emphasis on the superiority of Christ in every aspect of His being. 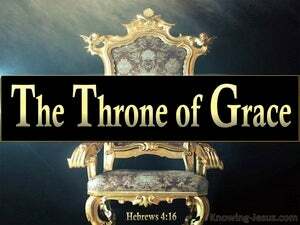 His throne has been established in heavenly places - and righteousness and truth is the foundation upon which His everlasting kingdom of grace will stand. 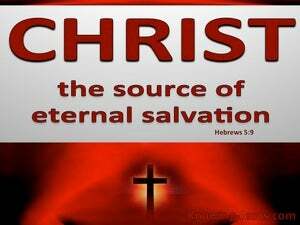 Christ is the gift of life and the message of salvation to a lost and dying world. 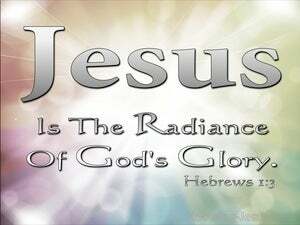 He is the image of the invisible God. He is the eternal Word clothed in human flesh for He is the incarnate Word of God - full of grace and truth. In a few short verses the writer to the Hebrews whisks us through a 'whistle-stop tour' of the infinite wonder of the Lord Jesus Christ and the eternal glory of His Person. We discover Him to be the full and final revelation of the eternal God to mortal man.. and we are informed that He is superior in every element to the greatest of human-kind and the most exulted of the angelic host. 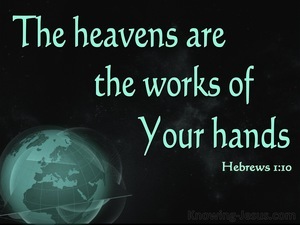 The foundation of the earth was laid by the eternal Son of God and the heavens are the work of His hand. 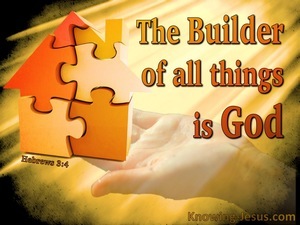 The One Who fashioned furniture in the humble carpenter's shop was the eternally existent One, Who flung stars into space - and Who formed, fashioned and filled the empty void with a carpet of living plants, fruit, flowers and trees - and then God made man in His own image. The triune Godhead worked in loving, corporate union, to create the glorious heaven; the angelic hosts; the magnificent earth and all the wonders that are therein. The Son of God is so much greater than the angelic host of heaven and every other class of angel, principality and power.. causing the Lord God Almighty to write of Christ Jesus: Your throne O God is for ever and forever, and let all the angels of God worship Him. 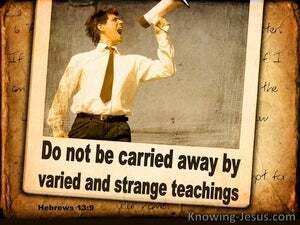 Words of exhortation or warnings are frequently given to Christians, as are the consequences of ignoring such words of caution. 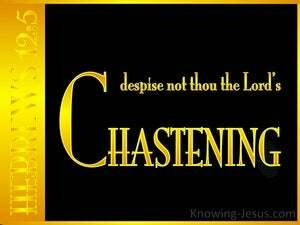 We are exhorted to walk worthy of our calling; to contend earnestly for the faith; to abstain from earthy lusts which war against the soul and to encourage one another while it is still called “today'; lest any of us are hardened through the deceitfulness of sin. 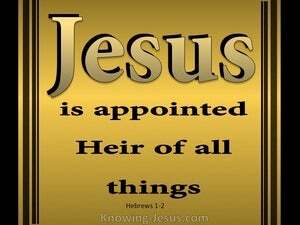 Christ's position of importance and authority is supreme. 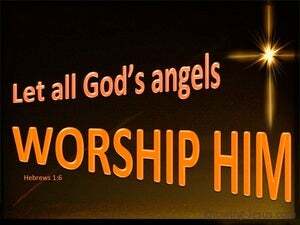 He is infinitely more significant than the angelic host, for He sits at the right hand of the Majesty on high and all the angels of God worship Him. 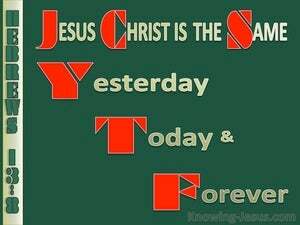 Christ Jesus is the eternal Son of God and omnipotent Creator of the universe. 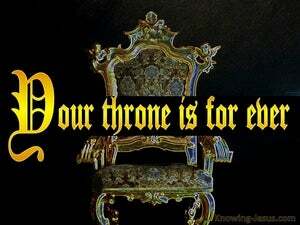 He is judge of the whole world and the Firstborn from the dead - and His throne is established in heaven forever and ever. 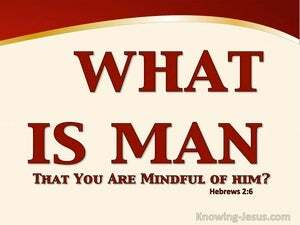 It was king David in Psalm 8 that testified: What is man, that You are mindful of him? 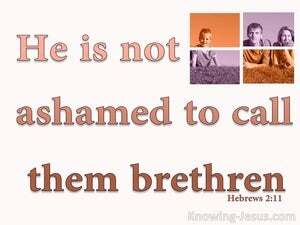 and the son of man, that You should care for him? - and I am sure that both as a young shepherd boy and Israel's greatest king the psalmist often looked into the starry heavens and meditated on the astonishing reality that God created man in His own image and likeness - that God entrusted the dominion of the whole earth into the hands of man. Written with the Hebrew Christians of the early church in mind.. who were reverting back to Judaism, this epistle to the Hebrews is equally relevant to believers today, as it hammers home the uniqueness of Christ; the supremacy of Christ; the deity of Christ and the humanity of Christ. 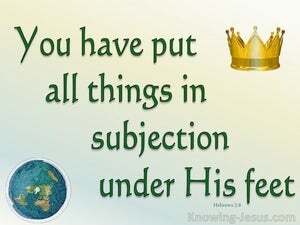 The deity of Christ, the uniqueness of Christ, the humanity of Christ and the supremacy of Christ are all important issues in this epistle to the Hebrews. Christ is the eternal God Who chose to come to earth and be clothed in human flesh, living His life just like we live - and yet He was not born with a sin nature as we are, for He was conceived of the Holy Ghost - and Christ lived a perfect life during His 33 years sojourn on earth. The cruel suffering and humiliation that accompanied Christ’s cruel death at Calvary was designed to bring to completion God’s fore-ordained, redemption plan, which purposed to bring many condemned sinners back into a right relationship with God, by faith, and adopt them into His family, as His children. 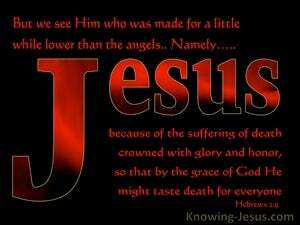 Hebrews is a book that clearly lays out the deity and supremacy of Jesus Christ, the eternal Son of God. 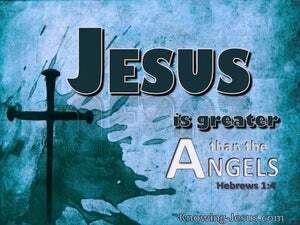 He is greater that any man and greater than all angels, because He is the exact image of the eternal, invisible God. There is a beautiful and intimate unity between the Father and the Son, and in the same way there is to be a deep and cherished closeness, between the unique, Son of God.. and the many sons that He brings to glory. How important therefore, to give the most earnest heed to all the things that we have been taught in holy Scripture.. through the power of the indwelling Spirit - lest at any time we let them slip. The significance and potency of the truth contained in this verse cannot be over-emphasised. God, in the Person of the eternal Son, became a man.. sharing in our mortal, human make-up of flesh and blood, without which the redemption of mankind would have been utterly impossible - without which all humanity would have remained dead in their sins and powerless to overcome death. 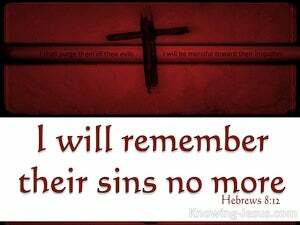 Never should we forget Who Jesus is and what He has done for us. 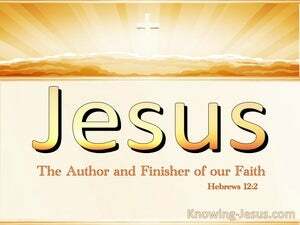 The book of Hebrews is an epistle that helps to remind us that Jesus is the incarnate God, Who had no option but to be born into the human race and become a man, in order to redeem humanity. The only part of God's creation, that was made in His own image and likeness, was the race of man. 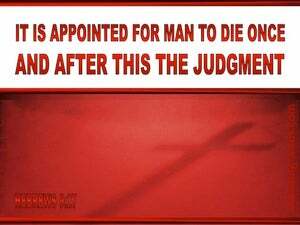 But when humanity fell, due to sin, Christ had to come to earth as a human being, so that He might taste death for every man. In God's divine plan His eternal Son was to become a full member of the human race, for only a perfect and sinless man could act as intermediary between an offended God Who is angered by sin and sinful humanity - which results in man being eternally separated from a holy God - and it is all a result of SIN. 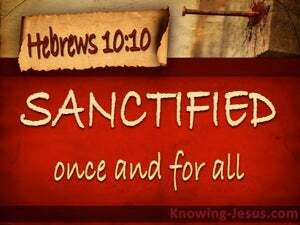 After 4000 years, God finally spoke to us through His Son, the Word made flesh.. Who by the sacrifice of Himself brought many sons to glory. But why did God-the-Son have to take upon Himself a human body, in order to save us? 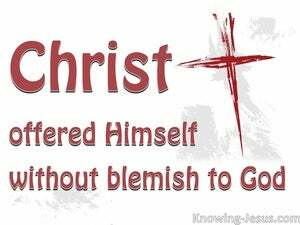 Why did the eternal Son of God have to clothe Himself in human flesh, in order to become the Saviour of the world? Can there ever be a heart that truly and honestly considers the Lord Jesus, that does not cover their face with a mantle and recognise they are treading on most holy ground, when they reflect upon Him, and consider this heavenly Man - Whose Person and Work surpasses all human understanding? 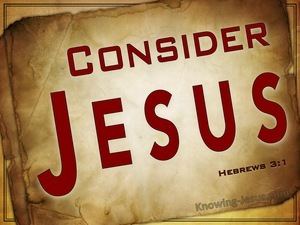 As maturing believers, we are to contemplate Jesus, and consider what He has done for us. 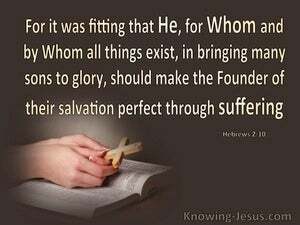 We, who have a heavenly calling, are exhorted to set our thoughts upon the Lord Jesus, because it is His name, His Person and His sacrificial work that we confess in our heart, and proclaim in our mouth, for the salvation of the soul. The supremacy and superiority of Christ over Israel’s greatest leaders, mightiest heroes and revered patriarchs, prophets, priests and kings, cannot be emphasized more exhaustively than in these early chapters of Hebrews. No wonder the warning in this book is NOT to revert back into the old ways under the Law. 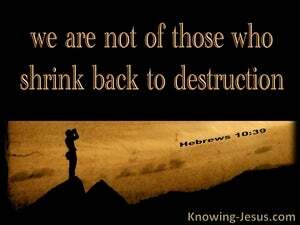 The infinite and indisputable supremacy of the Lord Jesus is the singular focus of the first few chapters of Hebrews. 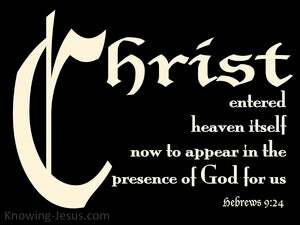 Christ has been identified as superior to the prophets and to all ranks of angelic beings. He is heralded as superior in Person and rank to Moses and Joshua.. to Aaron and the priesthood. Faithfulness is a quality to which we are all called – faithfulness in our earthly duties and faithfulness to our heavenly Father. 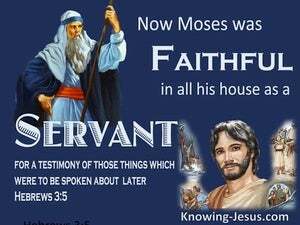 Moses is lifted up, in the book of Hebrews, as a prime example of faithfulness, for we read: Now Moses was faithful in all his house as a servant – and the Lord used Moses.. as a testimony of those things which were to be spoken of later. 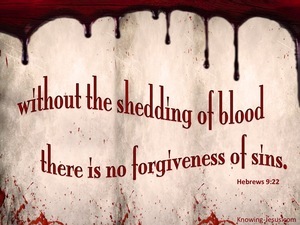 Hebrews provided Jewish Christians in the early Church a brilliant understanding that Israel’s first covenant had been superseded by a new and better one, which was cut at Calvary, through the shed blood of the Lord Jesus. 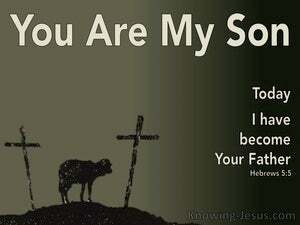 He was not only God’s sacrificial Lamb but the Father’s beloved Son. 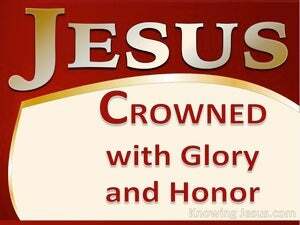 He is God’s anointed King and His great High Priest, Who was sent according to the order of Melchizedek - i.e. 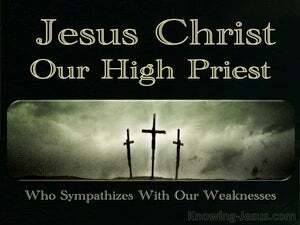 king of peace and high priest of the Lord. 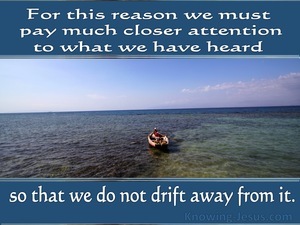 How clearly the writer to the Hebrews reminds us to consistently and continuously keep our focus on Jesus, Who is the both the Apostle and the High Priest of our Christian faith and our heavenly calling. 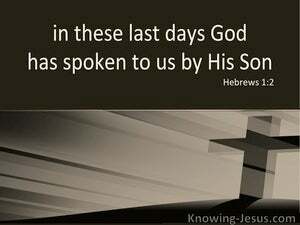 At the beginning of Hebrews we are informed that God has spoken in these last days through His Son, and throughout the epistle there are quotations from the word. When God speaks, His children should listen; take note; learn the lesson He is teaching; hide his instruction in our heart and apply His truth in our lives. 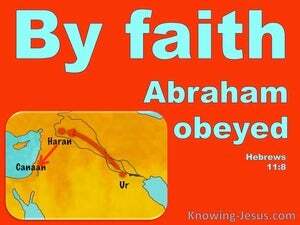 The Lord sanctioned Israel to wander 40-years in the wilderness because they tried His patience and tested His forbearance with their lack of faith. 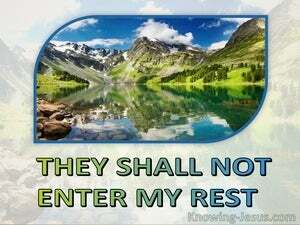 Because of unbelief and incessant murmurings against God, they were disciplined in the wilderness, instead of entering His promised rest. 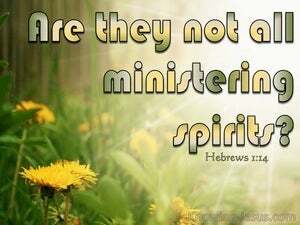 Just as Matthew's target audience was to the lost sheep of the house of Israel so the book of Hebrews was initially directed towards Hebrew Christians, in the early Church, who found the transition from the pre-cross dispensation of Law to the post-cross dispensation of grace - difficult. 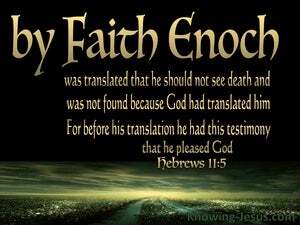 As a result, both writers included many Old Testament quotes to establish the truth they were sharing. Israel's wandering in the wilderness was the result of unbelief and rebellion. God brought them out of Egypt and was ready to give them great victory in the promised land, but disobedience caused their entrance into the land of promise to be delayed for forty years. Instead of trusting God to fight the giants in the land, their faith in God failed, and He swore in His wrath they would not enter His promised rest. Although miraculously redeemed from Egypt, Israel doubted God's ability to bring them into the promised land, and unbelief caused them to miss the many blessing God planned for them. They were saved that first Passover night, but lived the rest of their life in defeat. 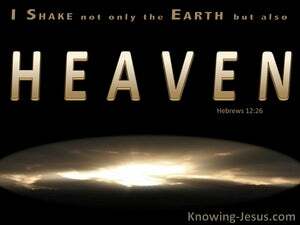 In the beginning God created the heaven and the earth and brought everything into being - time, matter, space and life. 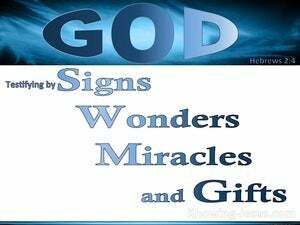 God spoke; the Spirit moved and in six days He not only established the world and breathed His life into Adam, but gave man dominion over the fish of the sea the birds of the air and every animal and creeping thing that moved on the face of the earth.. and God saw it was good - very good. 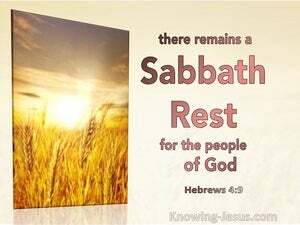 When God completed His work of creation He rested on the seventh day – He rested from His work on the Sabbath – He rested from His labour when His work was completed, and there is still a rest for the people of God – there is a Sabbath-rest for the people of God. 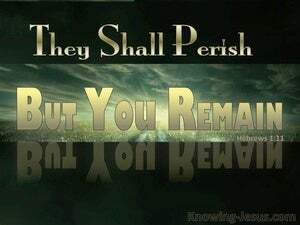 Because of disobedience and unbelief, the children of Israel did not enter into the rest that God had promised them. 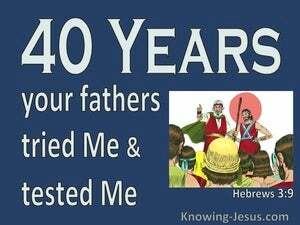 They treated the promises of God with disdain, and paid little heed to His Word. 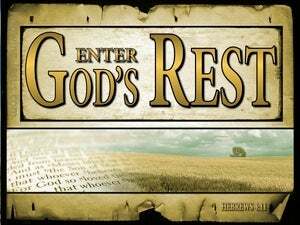 Today, like them, we are called to give diligence to enter into God's rest - but we are also warned not to go astray in our hearts, as they did. 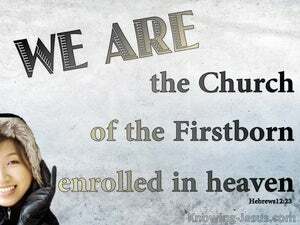 Jesus Christ - the Living Word of God is traced to every page of the Written Word of God. All that He is stands in stark contrast to all that we are. His penetrating eyes search out all the dross that is rooted in me. 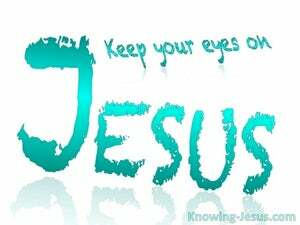 His Word of Truth exposes everything in me that is not of Christ: self; hypocrisy; insincerity and unbelief. 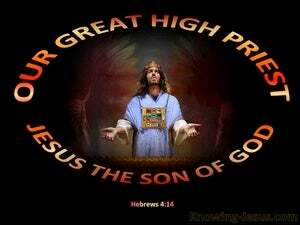 Not only is Jesus our Saviour and King, our Prophet and Lord but He has also become our great High priest. 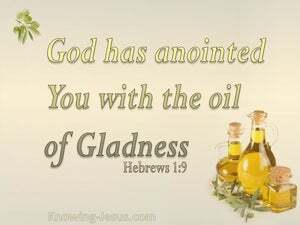 Jesus is God's anointed high priest, through Whom we have been made fit to approach the grand and awesome throne of the most high God. 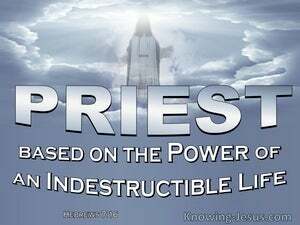 His high priestly position is a heavenly one and it is a position that is so much more superior than the earthly Levitical order that came through Moses. In the Old Testament the high priest was appointed of God to represent man to God – for sinful man cannot approach a holy God and needs a mediator to stand in the gap. 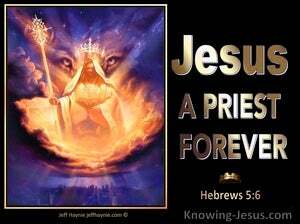 The high priest is the one that stands between God and man, to offer sacrifices to Him - in order to atone for man’s many sins - and every high priest from Aaron onward, was a representative of the final and ultimate High Priest - our Great High Priest, the Lord Jesus Christ. This is a verse that rejoices our hearts for this Throne of Grace is the eternal seat of the sovereign God, Whose mercy-seat has covered our sins forever and by Whose grace the veil of the temple is torn from top to bottom to provide us access into the presence of our heavenly Father. 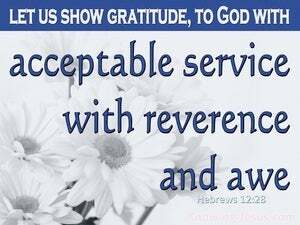 Through Christ we have received the gracious invitation to come boldly unto God's Throne of Grace, that we may obtain mercy, and find grace to help in time of need. The Lord Jesus is uniquely the eternal Son of God, the perfect Son of Man, the rightful King of the universe and God's anointed High Priest. 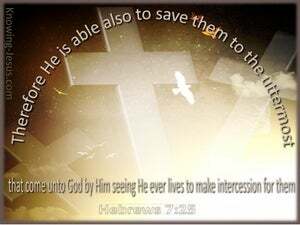 He was sent from above to be the one and only Mediator between fallen humanity and a holy God - as well as becoming God's personal representative to lost mankind. During His sojourn on earth Christ's main office was Prophet. 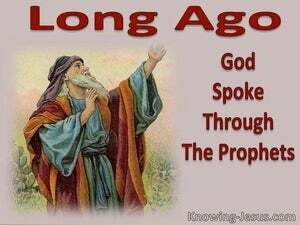 He was 'The Prophet who was to come', about whom Moses spoke. He was the Builder and Son of the house in which Moses served. He was the fulfilment of the One about whom Moses witnessed and He was the substance of Law, which was given through Moses. Jesus had a unique relationship with His heavenly Father for He was the eternal Son Who became a Member of the human race, but He also had a unique relationship with humanity for He was fully Man and yet fully God. This hypostatic union of eternal deity with perfect humanity is found in one Person alone - the Lord Jesus Christ, Who became the Head of a new creation and the Author of eternal salvation to all who believe on His name. 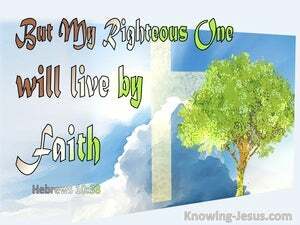 Once we are saved by grace through faith we are to live by faith; to walk by faith; to mature in the faith and to grow in grace. 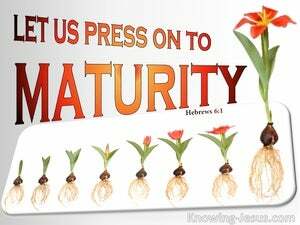 We are to progress from spiritual infancy to spiritual maturity and to become disciples of Christ.. students of the scriptures and skilled in the word of righteousness. Whenever we see the word, 'therefore' in the Bible, we have to ask the question, 'what is it there for?' We must understand that this word is qualifying something that went before. We must read the Bible in context, and recognise that the word, 'therefore', is joining us to something important that went before. 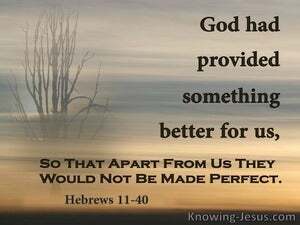 Hebrews is written to seasoned believers, who should be increasing in faith, growing in grace and enlarging their knowledge of the truth. Its original target audience were converted Jews, who were finding difficulty in shifting from the pre-cross dispensation of Law to the post-cross dispensation of the grace of God. 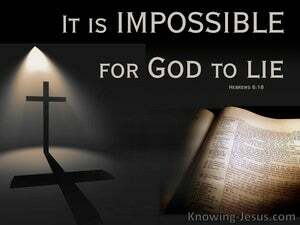 The blessed promises of God, that flood the pages of Scripture, stand securely on the unchangeable will of the Father. They were established in the eternal council chambers of the Godhead, and the Lord Himself confirmed His immutable Word by His own, fixed oath - rendering His will, His word and His council as utterly dependable and established forever. 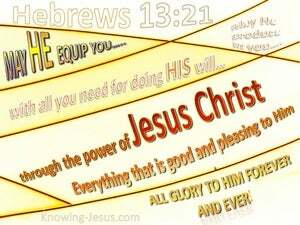 Hebrews gives a balance between exposition and exhortation. While some passages systematically lay out doctrinal truth, they are interspersed with those that encourage us to apply what we learn in our everyday life or warn of the consequences of failure. Because of sin, there is an immovable barrier between God and man.. and priests from the house of Aaron were ordained by God to mediate between the two. Their role was to remove the sin-barrier between man and God. The role of the priest was to deal with:- 1) sin, 2) the sinner who was estranged from God due to their sin and 3) an offended God, Who demanded satisfaction for the sin that man had committed - and the wages of sin is death. The Bible outlines the story of redemption, from the very beginning, and on into the eternal ages to come. Eve knew her Seed would crush the serpent’s head and Abraham looked for a city, whose Builder and Maker was God. The message of the gospel is so simple that even a child can understand it, but it is very difficult for people, who are steeped in the Hebrew tradition, to come to terms with what the Bible really teaches – that there is neither Jew nor Gentile in the Body of Christ, but we are all one new man in Him. 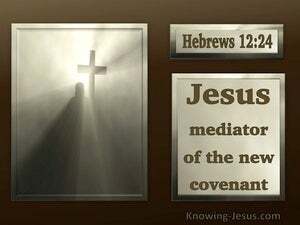 Moses was the mediator of the old but conditional covenant with Israel, which was cut and confirmed through the spilt blood of the Passover lambs in Egypt.. but Christ is the mediator of a new and better covenant - an unconditional covenant, which was signed and sealed with the precious blood of Jesus Christ: the sacrificial Lamb of God, Who “takes away the sin of the world' - and it was finished at Calvary. 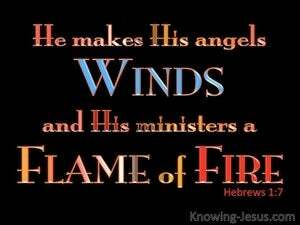 From the beginning of the book of Hebrews, the Lord Jesus Christ is elevated above every prophet of God and all angelic beings. 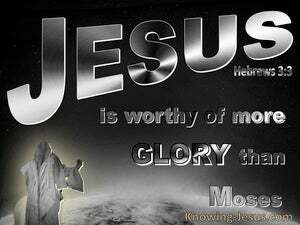 He is of greater import that Moses the Law-give, and Joshua, who led the children of Israel into the promised land. 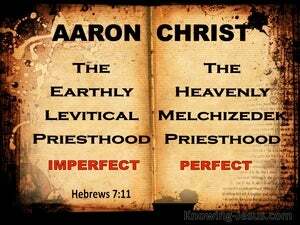 The Lord Jesus is far higher in rank and authority than Aaron the great, high priest of the Lord, and His ministry eclipsed the Levitical priesthood. 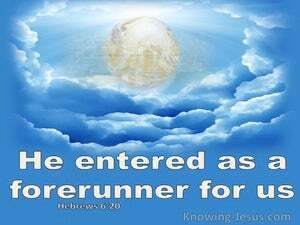 The disciples witnessed Jesus ascending into heaven, and were told He will one day return from heaven in like manner. 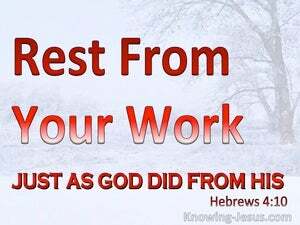 Today He is seated on God's throne in heaven, while at the same time is present with us, for He promised to be with us to the end of the age. 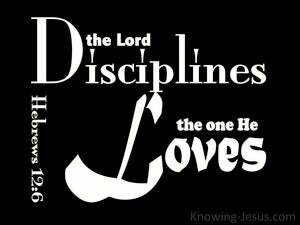 As such our Lord has two different functions in our lives and two distinct relationships with His children. 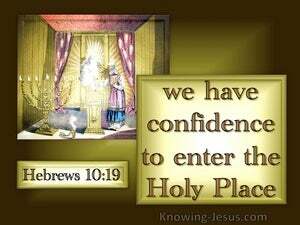 We are reminded in the previous verses that the old covenant required Israel's high priest to enter the holy place year by year.. on the day of Atonement to make their oft-repeated sacrifice to the Lord, for the sins of God's people - their sins were to be covered for one more year. 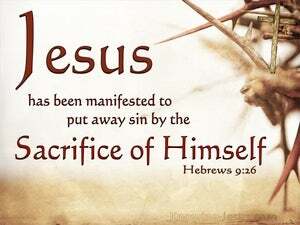 Christ was made the sacrifice for our sins, which rendered His ministry as the sin-sacrifice final and complete. 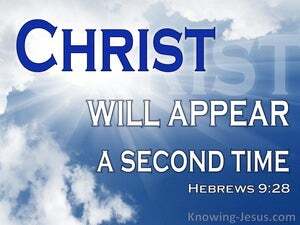 Christ appeared the first time to put away sins forever and although today He is sitting at the right hand of the Father and one day will appear for a second time, when He comes to set up His kingdom - His sacrifice for sin was made once and for all - and it was completed forever at Calvary. 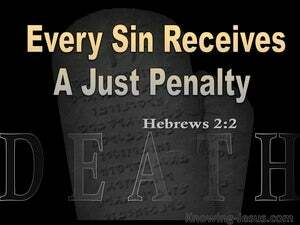 The law of God is the perfect standard He requires from humanity, but it cannot make man righteous nor pardon his sin. 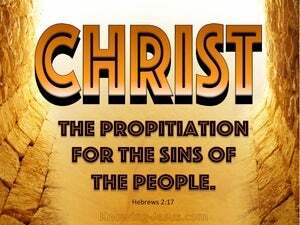 So God devised the plan of salvation that would satisfy His justice and impute man with His own righteousness through the full payment of the required price for sin – which is the willing, sacrificial death of the only perfect sacrifice – the Lord Jesus Christ. The eternal Son of God was sent from His heavenly home into a fallen world, by God the Father - to be born as the perfect Son of Man. Though Mary was a virgin, chosen of God to be the mother of His only begotten Son, she was nonetheless a sinner and equally in need of a Saviour - as is every member of fallen humanity. 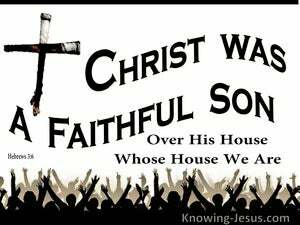 Everyone who has trusted Christ as Saviour has been set apart by God through what He did on the cross of Calvary. 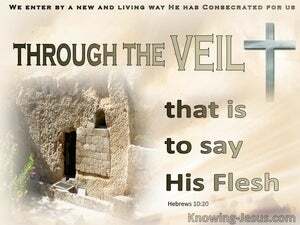 Every church-age believer has been cleansed of their sins, clothed in the righteousness of Christ and consecrated to God, because Jesus became our substitutionary sacrifice for sin and breathed into us His own perfect, abundant and eternal life. 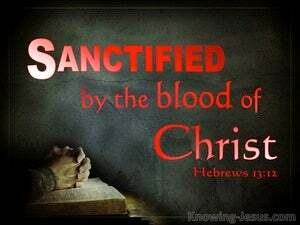 Every Christian is sanctified by God. 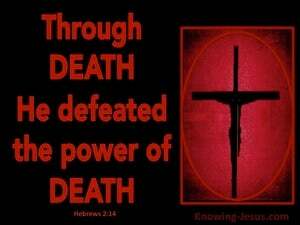 Saved, by grace through faith in our Saviour, Jesus Christ. The Law was given to Moses for the people of Israel and part of that Law pertained to the Aaronic priesthood. There were laws that dealt with the sacrifices and the way they had to be offered. There were laws that covered those who could become part of the priesthood and laws that were connected with the duties that each member had to undertake. 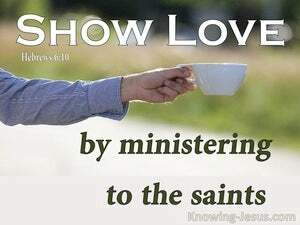 Praise the Lord that it is by the merit of Christ’s shed blood that we can draw near to God and call Him, Abba, Father. 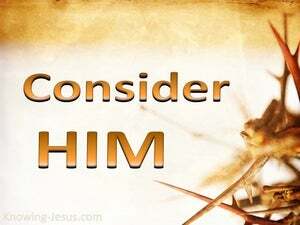 And in this verse we are invited to come close to Him, to draw near to the Father in full assurance that the price that Christ paid for our sin at Calvary.. is paid in full and fully sufficient – amen! 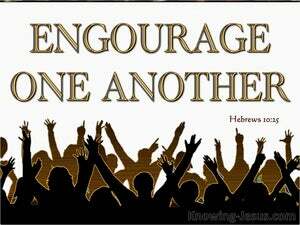 As believers we are given many instructions and encouragements on how to live godly in Christ Jesus. 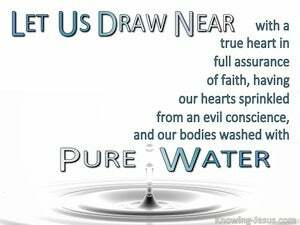 We are to draw near to the Lord, with a true and undivided heart. It must be a broken and a contrite heart, that has an unshakable, confident assurance of our faith, which is anchored to the faithful promises of an unchanging God. 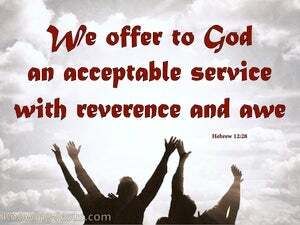 Fellowship in the life of a believer should be both vertical and horizontal. The importance of taking time to commune in private with our heavenly Father cannot be sufficiently emphasised.. but also our horizontal fellowship with our brothers and sisters in Christ, is also of vital importance, and should not be ignored or dismissed. 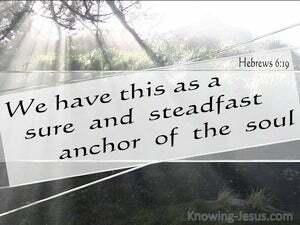 The book of Hebrews is not for unbelievers, but for those that are maturing in the Christian faith.. and it has been beloved by countless generations of believers. It contains a wealth of spiritual truths, to help us in our spiritual growth, but we must never forget that it was originally written to early Jewish Christians, who had to come to terms with the fact that 'in Christ'.. we are no longer under law but under grace. 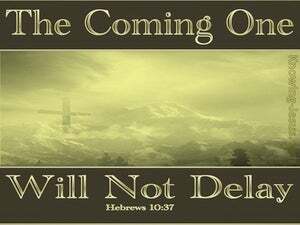 Following a series of sober warnings and solemn admonition against legalistic practices, which distort the gospel of grace.. the writer to the Hebrews ends this section with an encouraging exhortation for all believers to stand fast in the evil day, to patiently endure and to carry out the will of God - in order to receive our promised reward, at the Bema seat of Christ. 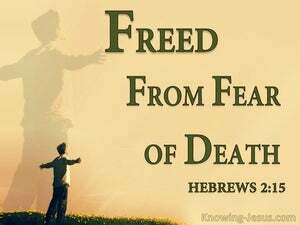 The burden of Hebrews is to keep on living our life by faith and its target audience are not the unsaved but believers who are encouraged to persevere, despite the temptations and trials we inevitably face. 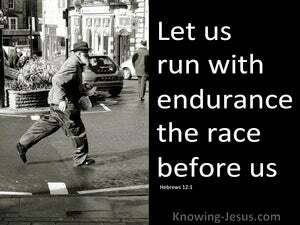 Because we were justified by faith, we are to keep on walking by faith. 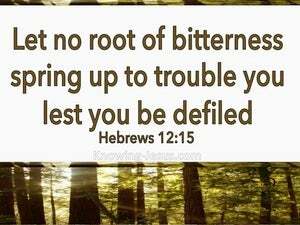 We are to persevere and not to shrink back in fear, or fall into the same attitude of unbelief we see in the times of Israel. 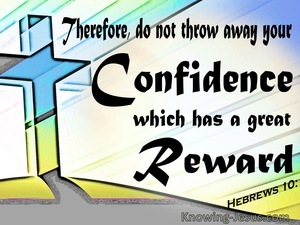 Throughout the book of Hebrews faith in the word of God and the superiority of Christ have been the author's focal point, together with a series of warnings against unfaithfulness, immaturity, falling short of God's perfect plan.. or making the same mistakes that Israel made, throughout their chequered history - i.e. 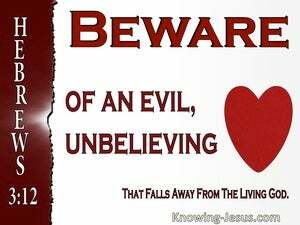 unbelief. 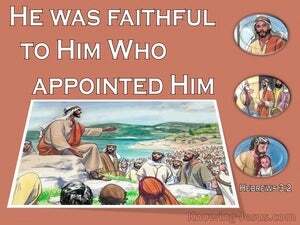 It is faith that pleases God, and the blood-sacrifice that was offered by Abel was accepted by the Lord, Who bore witness to his faith. 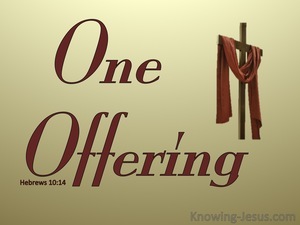 Abel made the only offering that was acceptable to the Lord, for without the shedding of blood there is no remission of sins. And God commended Abel’s faith by accepting his gift. And although he died, the faith of this young man has become a great witness throughout the generations. So much within the epistles is mistakenly thought to be addressed to the unbeliever when it is, in fact, written to Christians. 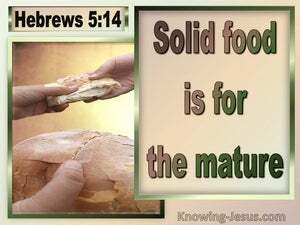 Hebrews is one such example of scripture that is written to give the maturing believers clear guidance on how to live a life, pleasing to God, during our time on earth. There are certain differences in the way that God deals with His servants in different dispensations, and the permanently indwelling holy Spirit is one unique difference in the church age. 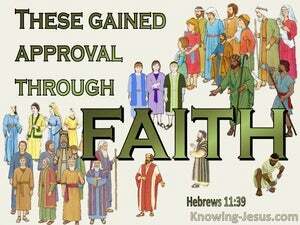 However, faith is the constant that unites all believers. 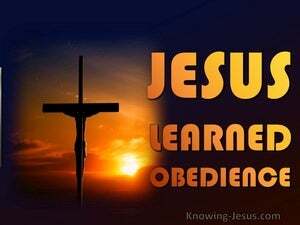 The imputed righteousness of Christ is received only by faith – by believing the word of God - by trusting the Lord to carry out His promises, and by obeying His Word. 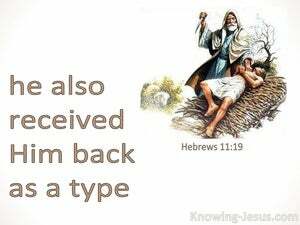 In Hebrews 11 we gain a tiny glimpse into the life, expectations and endurance of men and women of faith in Old Testament times. The various trials and tribulations they faced are catalogued in breath-taking detail, but most of these heroes of the faith remain an unidentified "cloud of faithful witnesses." 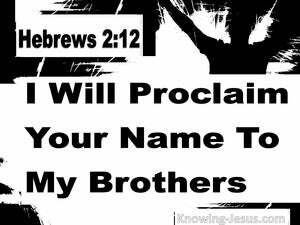 The urgent message of Hebrews is that Christians, and particularly Jewish believers, should not return to the religiosity and legalistic practices of the Mosaic Law and pre-cross Israel - for we are not under the Law but under grace. 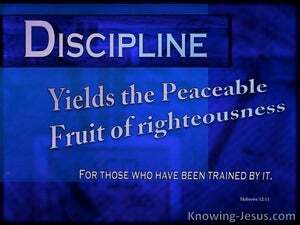 Today we live in "the dispensation of the grace of God". 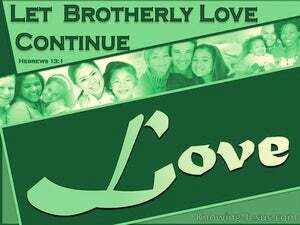 For all of eternity Christ is in the bosom of the Father, exchanging love and being loved. 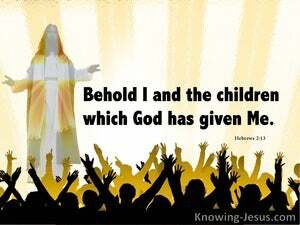 He is forever the Beloved Son of the Father in Whom God is well pleased. The mutual love within the Trinity is incomprehensible to mere human beings, and yet for three very significant hours of deep darkness, Christ was separated from the Father He loved so dearly, and the Spirit, Who had been the ever-present Lover of His soul, throughout His earthly life. 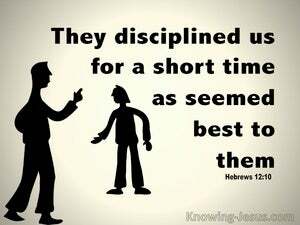 How important to patiently endure the child-training we all must receive from our gracious heavenly Father, and how wise to willingly submit to the godly discipline and necessary chastening that every child of God receives from our Father in heaven - so that we may be conformed into the image and likeness of our Saviour, Jesus Christ our Lord. 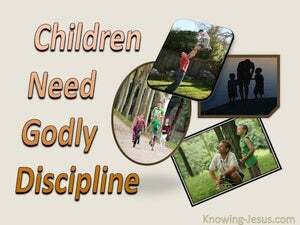 The training and discipline of earthly parents, which is given during infancy and childhood, is compared, and contrasted, with the perfect instruction and chastening rod, that we receive from our heavenly Father. 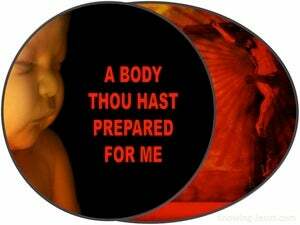 Before we were born-again, we were children of the devil and estranged from God. 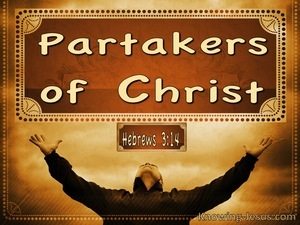 However, since we have been saved by grace through faith, we have become children of God, and joint heirs with Christ. 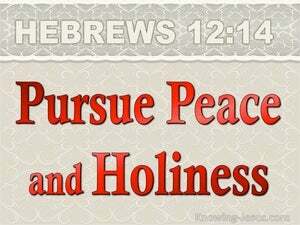 Peace and holiness are to be our spiritual condition as well as our spiritual position. We are at peace with God because He forgave us our sins, but we are also to make every effort to maintain the inner peace of God, that surpasses human understanding - when our mind is stayed in Him and as we turn the eyes of our heart upon Jesus and fix the thoughts of our minds on Him. 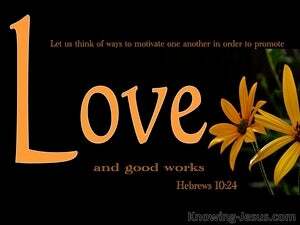 The word of God tells us that if we allow bitterness to creep into our hearts and if we become bound up in resentment, discontent, acrimony and grudges against others.. we come short of the grace of God, and have allowed the ungodly characteristic of bitterness to sink its deadly root into our heart, which defiles us before the Lord and causes no end of trouble in our own lives and in the lives of others too. 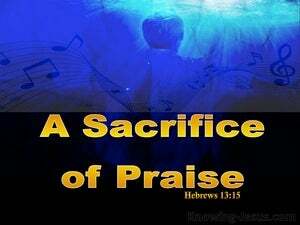 Jesus is the perfect example of how to live a life that is pleasing to the Lord, and in these closing chapters of the epistle to the Hebrews, the maturing believer is encouraged to live a life of worshipful praise to our heavenly Father. 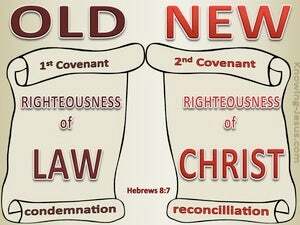 The old covenant was given through Moses to the nation of Israel and although it was good it was unattainable. The new is better for it is accessible to all mankind and but is also attainable to all who are in Christ – for He became a curse for us, so that we might become the righteousness of God in Him. 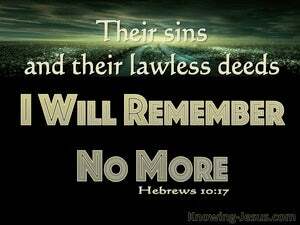 We have been saved in the same way as that great cloud of witnesses, who were listed earlier in the book of Hebrews - saved by grace through faith. 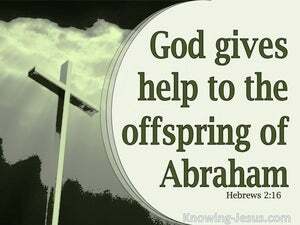 They believed the Word of God as they looked forward to the arrival of the promised Seed of Abraham.. man's kinsman Redeemer, Who was the greater Son of David. We also believe the Word of God.. as we look back to the cross of Christ.. to Jesus, our God and Saviour - our risen, ascended and glorified Lord. When God speaks, His children should listen and when God repeats Himself.. His children should pay extra special attention to the Word of the Lord. Hebrews is a book that was mainly written to Jewish believers, in the early Church, who found it very difficult to let go of many of their former traditions and Jewish rituals. 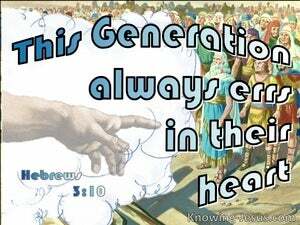 It was written to help them come to terms with the new and better Covenant, which was promised by the mouth of Jeremiah, cut through the precious blood of Jesus Christ our Saviour and will be fully and finally ratified when Jesus returns to set up His millennial kingdom on earth. 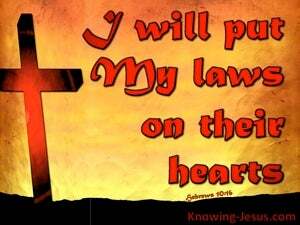 While Galatians was a book that was written to warn gentiles not to be lured into legalistic, Jewish practices, the target audience of Hebrews was predominantly towards Jewish converts to Christianity, in the early Church.. who were being lured back into Jewish legalism. The book of Hebrews was particularly important for Jewish believers, in the early Church. 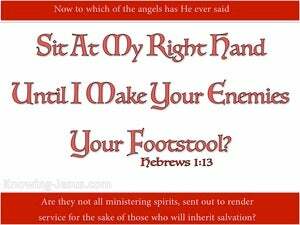 Step by step it showed that Christ was superior to angels and of greater importance than Moses, Aaron and Joshua. 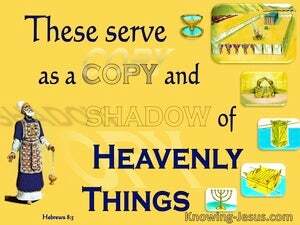 It identified Jesus as preeminent among prophets, priests, kings and the entire angelic realm. 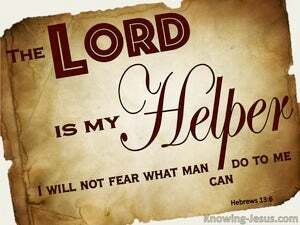 Hebrews is the book that showed believing Jews, that the New Covenant promised through Jeremiah, had been cut at Calvary. 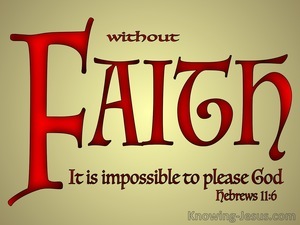 The book of Hebrews points us to the unique person and work of the Lord Jesus and calls us to trust God in all things, for without faith it is impossible to please Him. It warns us to beware of falling short of the calling God has on our lives and cites Israel as an object lesson on pitfalls to avoid, as well as identifying a great cloud of faithful witnesses who trusted God in all the twists and turns of their lives. 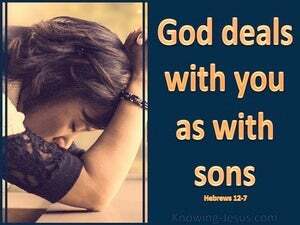 Exalting the Person and work of the eternal Son of God, and detailing His incarnation, His substitutionary death, His heavenly Priesthood and the importance of faith, are the broad themes that flow through the book of Hebrews. The direction of our life, the tenor of our conversation and the disposition of our hearts should always be pleasing to the Lord, for we are God’s children. 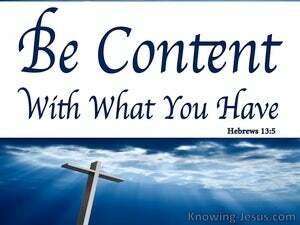 We are to be holy for God is holy, and contentment is a significant key. 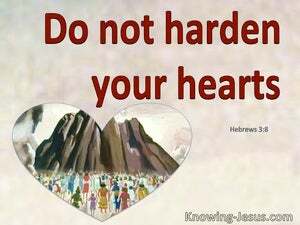 Hearts that seek the Lord, learn to be content in every situation of life, and the person that is content, is one that is not beset by envy or greed. If only our faith were simpler, and we were more childlike we would take all that God says in the Scriptures and we would simply trust in His Word – and that’s called FAITH!! 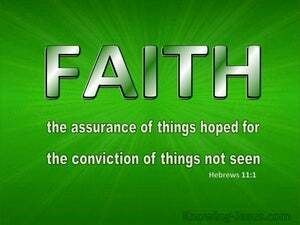 Faith is just having confidence is all God says. God has spoken, and His Word is settled in heaven. 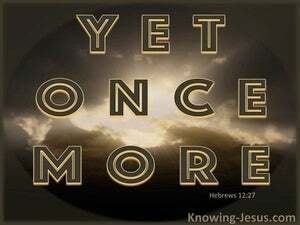 God has not changed, and He will never change, for He is the same yesterday, today and forever. But in these last days God has spoken in a unique and special way. 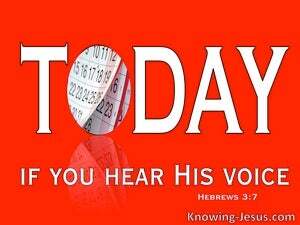 God has spoken to us through His Son, our Saviour Jesus Christ. 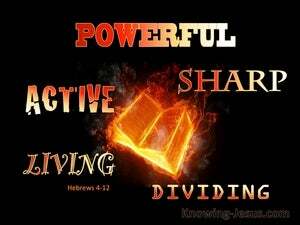 The book of Hebrews is of tremendous spiritual importance and has significant doctrinal value to all Church-age believers. However, much of its content was of special relevance to Jewish believers, in the early Church, who found difficulty in letting go of the long religious history of Judaism, which was deeply rooted in Mosaic Law - in exchange for Christ's post-cross doctrine. The Lord Jesus offered up His sinless life to His heavenly Father as the full, final and sufficient sacrifice for the sin of the whole world. It was by willingly giving up His own perfect life as an offering to the Father at Calvary that the purpose for which Christ was born was accomplished. He became the full and sufficient payment for the sin of the whole world - and all who believe on Him receive forgiveness of sins because He died in our place. 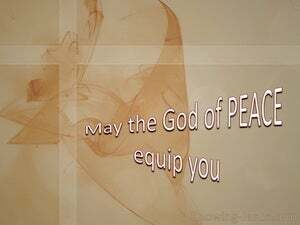 We do not have a distant, ineffective God but a God of peace, Who made peace with us through the death of the Lord Jesus and Who gives us His own perfect peace as we remain in fellowship with Him.